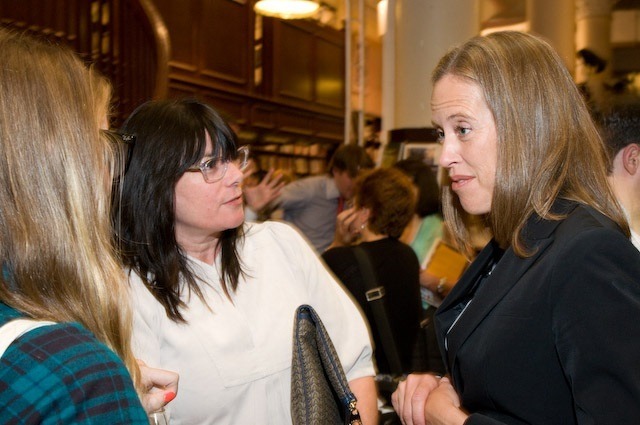 A few years ago, Wendy Kopp declared she would step down as CEO of Teach for America—but she’d also, by the way, be taking the position of board president. I seem to remember similar founder sleight of hand being pulled at Komen: Abracadabra, I’m not in leadership, but wait! What do we have here? While we applaud the board’s nod to the risks of founder’s syndrome by naming an independent lead director, the size of the board, the naming of co-CEOs, and the continued presence of the founder as board chair of one organization and CEO of the other may create governance challenges for Teach For America’s board for some time to come. Add to this that one member of the new team lived in Minnesota and the other in Houston, while the headquarters is in New York City. Guess who lives in NYC? If you answered Kopp, you would be correct. Last week, Kramer announced he intends to leave and hand the whole CEO shebang over to Beard. In his letter announcing the decision, he was mostly well behaved but did describe Beard as “a relentless competitor,” perhaps not the best personality for a co-director. The competitive part is fine, but “relentless” implies she never turned it off and of course a co-directorship requires that of leaders. Last year we also got to see the good Kopp/bad Kopp dynamic between the two co-CEOs Matt Kramer and Elisa Villanueva-Beard. Kramer was the good Kopp with his remarks entitled “Embracing Change” while Villanueva-Beard played the role of bad Kopp as she delivered a speech entitled, if you can believe it, “We Won’t Back Down.” Aside from constantly using the phrase that will forever be associated with a pro-charter school bomb of a movie, Villanueva-Beard exposed herself as a first class reformer complete with cartoonish caricatures about the “status quo” and critics of the modern reform agenda who believe in low expectations for all but rich white kids. Ross Brenneman, who wrote a blog post for EdWeek, suggests that the failure can be laid at the feet of shared leadership, and to that I say hooey! It was a convenient setup from the beginning, in that Kopp never intended to lose her hand in the game, but when undeniable power in a shared power situation goes underground and denies that it is the man behind the curtain, it is a recipe for disaster. It could not have been a worse environment for a co-directorship, which requires lots of clear and straightforward communication and a high awareness of the risks of triangulation. It’s been a privilege to lead alongside Elisa and our partnership has produced many benefits, but co-leadership comes with real costs too—we spend a lot of time maintaining alignment, and we often speak in a voice that reflects our daily compromises. Ultimately, we determined that Teach For America will be best served in the period ahead by a single CEO—who can act more decisively, speak more authentically, and evolve more rapidly. In a way, this situation, seemingly fraught with an embarrassing lack of rudimentary leadership maturity, very accurately reflects the organization’s inability to hear or respond to criticism in an authentic manner. Just put those blinders on and go, go, go!